As part of my comprehensive photography services I am now able to offer low elevation aerial photography and aerial video for weddings, commercial work and independent films. We use a remote control helicopter know as the Cinestar Octocopter (8 propellers) to capture breath taking scenes from 1m to 100m elevation with complete stability and maneuverability. We have complete control of the camera while it is in flight allowing for 360 degree panning and 150 degrees of tilt for completely novel and creative perspectives. Check out a photo of our rig, the ultra heavy lift octo capable of carrying 10lbs of camera in its MOVI like 3 axis stabilized gimbal. For more information on aerial videography and recent aerial videos please visit this page: Aerial Videography or our new website Aerial Vista Productions. Check out our brand new Aerial Demo Reel below showcasing what we can create with this amazingly versatile helicopter! Aerial photography has been used since the first hot air balloons to give a new perspective to the objects and landscapes in our world. With the modernization of both aviation and camera technology, a new type of aerial photography was born. RC aerial photography uses ordinary to advanced RC aircraft to carry a camera payload and obtain aerial pictures. 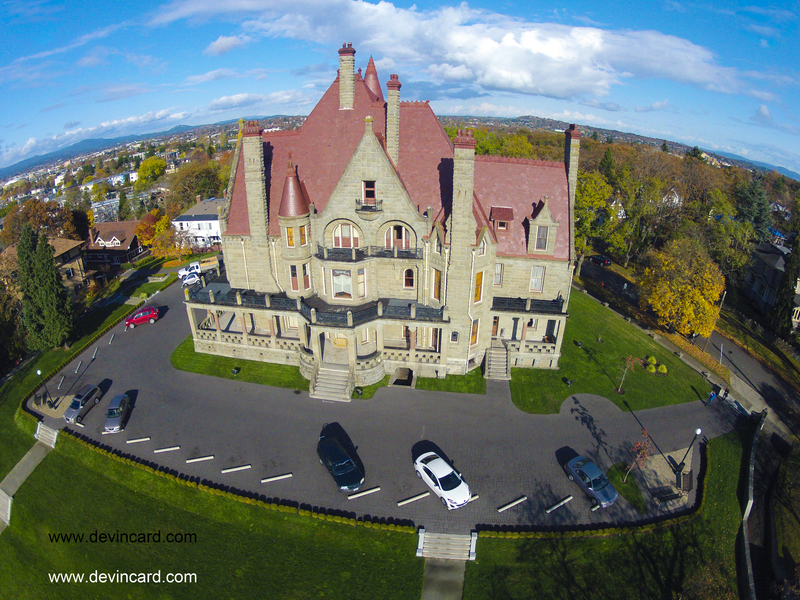 RC aerial photography can add a new perspective to images of large objects. by showing the large scale relation between different objects. Many engineering, mapping, and surveying projects depend on a clear understanding of the large scale properties of an area of land, making aerial photography the perfect tool for obtaining this information. Traditionally, aerial pictures were obtained by sending a human photographer on a flight in a full scale aircraft, usually either an airplane or helicopter. This is a time consuming, inconvenient, environmentally insensitive and expensive manner to capture this novel perspective. RC aerial photography is a simple and cost effective solution. You can rapidly deploy and recover an RC aircraft, and get aerial pictures of equal to (and in many cases better) quality than those taken from a full scale aircraft. Conventional aircraft are limited by altitude regulations, so they can fly at a minimum of 500 feet above ground level. RC aircraft are free to maneuver at any altitude, giving you the freedom to decide which altitude is best for your aerial photographs. Aerial Vista Productions is pleased to announce that Transport Canada has granted a General Special Flight Operations Certificate. 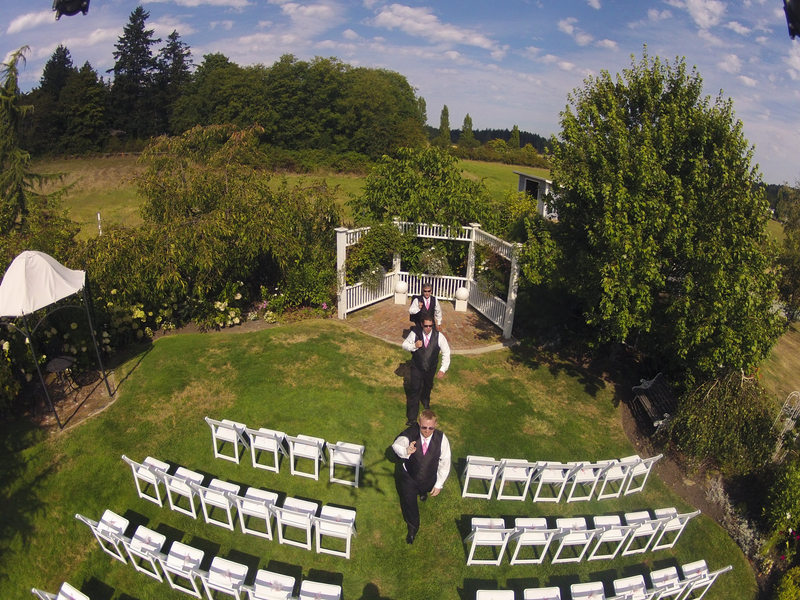 We can now offer our aerial video and aerial cinematography and photography services throughout BC using both our drones with only two days notice. Previously an application to Transport Canada could take up to twenty business days for approval. This development will allow for a quicker change of locations for movie productions and special events in British Columbia and Alberta. 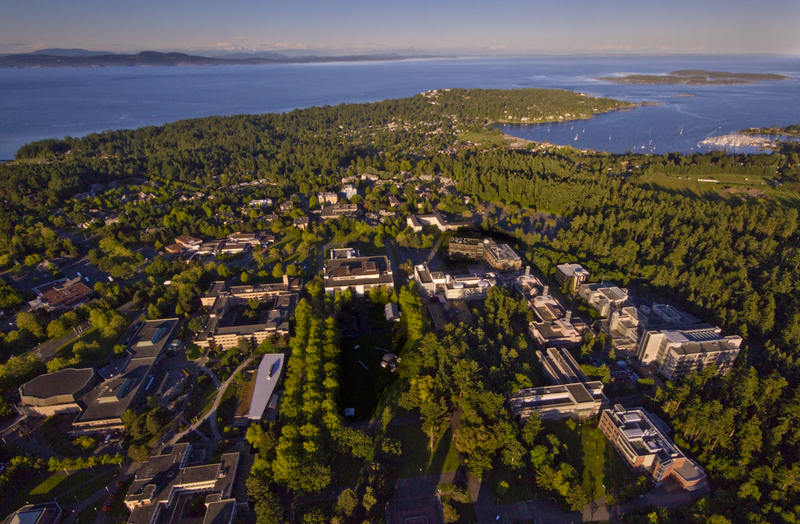 The University of Victoria with Cadboro Bay and 10 Mile point in the background. 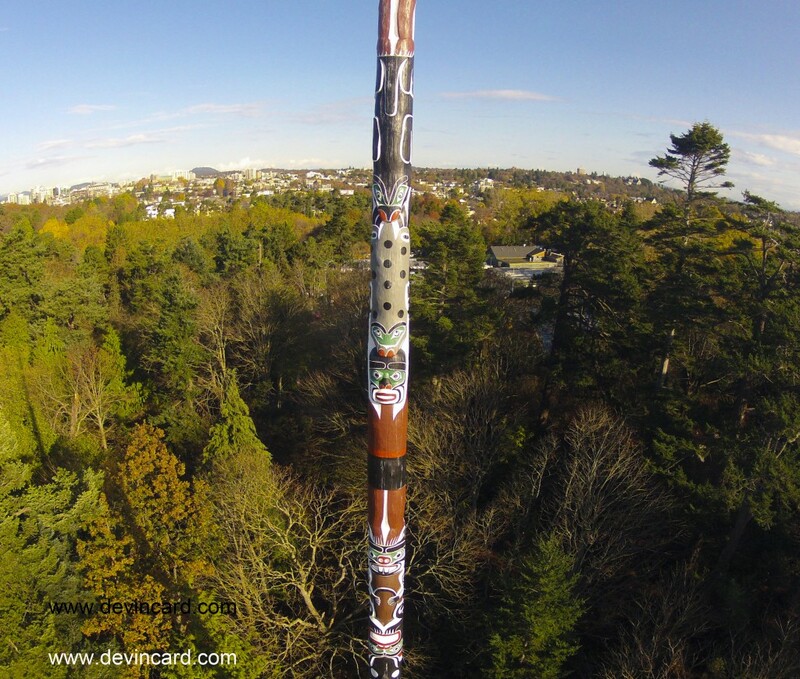 An aerial shot of the giant totem pole at Beacon Hill Park.